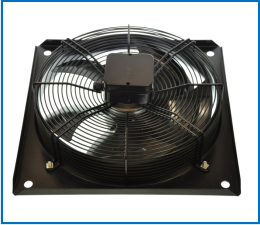 In conjunction with our popular guard mounted axial range we also offer the units with a square metal plate. These plate mounted axials are improve the airflow with the dished inlet ring and also offer a clean and tidy finish on installation jobs. 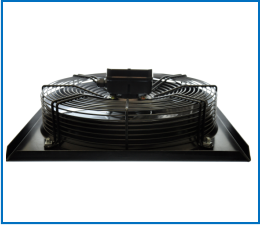 They are available with blade diameters from 300mm up to 900mm. 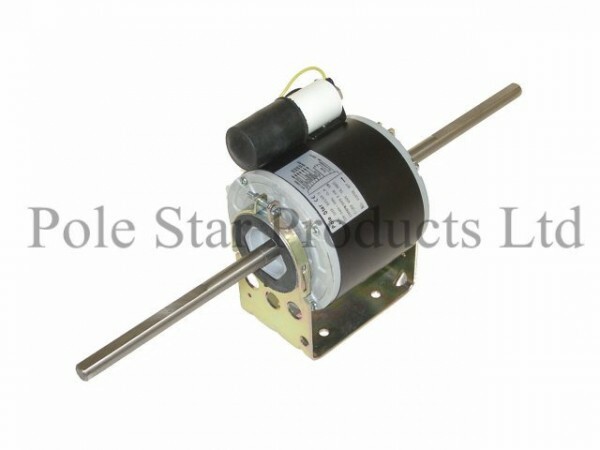 These units are available in four and six pole and in either single phase or three phase supply. The most common airflow is sucking although blowing is also available; the majority of models come complete with a terminal box fitted to the read of the guard complete with capacitor pre-wired.